Photo by Times Asi, some rights reserved licensed under CreativeCommons. 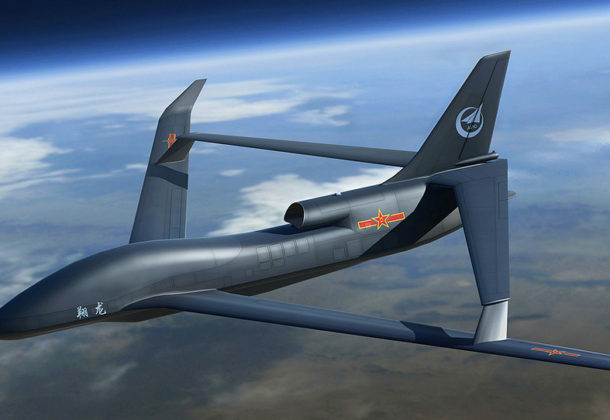 A mandated DoD report shows China is expanding its armed drones sales and indicates who is buying them, reports C4ISRNET. The report, here, was released this week. Americans are more likely to die from opioid overdoses than car crashes, according to a new report from the National Safety Council. Vox reports that based on 2017 data, people in the US have a 1 in 103 chance of dying in a motor vehicle crash over their lifetime, but a 1 in 96 chance of dying of an opioid overdose. Three Littoral Combat Ships will head out on their first deployments this year, reports Breaking Defense, after years of delays, budget fights, and much debate over the role the ships will play. Two ships are going on the West Coast, one ship is going on the East Coast, said VADM Richard Brown, head of the Navy’s surface fleet. The numbers of no-show airport security screeners soars in shutdown, reports AP, with a national absence rate of 7.6 percent compared with 3.2 percent on a comparable day a year ago. In the first update to the UCMJ since 1984, Congress passed a new Military Justice Act in 2016, calling for a review and reorganization of the Uniform Code of Military Justice, the set of rules and regulations that dictate criminal offenses for service members and how they are adjudicated. Military Times reports that among the changes are new definitions for adultery and intimate partner violence, and a specific law against sexual relationships between instructors and trainees. The Navy’s top surface warfare officer, VADM Richard Brown, calls for his crews to rapidly develop “a sense of urgency” about the Russian and Chinese navies, reports Breaking Defense. He says that sailors must make ready for aggressive sailing by adversaries that come so close they scrape your paint, as a Chinese destroyer came within yards of doing last fall in the disputed South China Sea. The next big war, VADM Brown said, could all too easily resemble the bloody early years of the Pacific campaign of World War II, and junior sailors may have to pick up the pieces when their superiors are cut off or killed outright by a sophisticated surprise attack. Women Airforce Service Pilots, left to right, Frances Green, Margaret Kirchner, Ann Waldner, and Blanche Osborn at Lockbourne Army Air Field, Ohio, 1944. 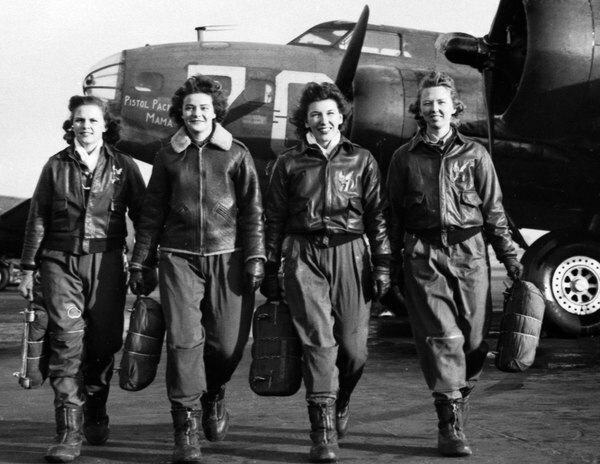 These women pilots were some of the first to ferry B-17 “Flying Fortress” bombers. More than 1,000 WASP provided essential military air support in the United States during World War II. Pioneer among female WW II pilots dies at 96, reports Air Force Times. Millicent Young of Colorado Springs was a member of the Women’s Airforce Service Pilots, and among about 1,000 female pilots who flew bombers and other warplanes to free up male pilots for combat service overseas. 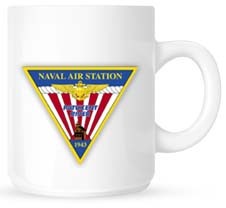 They served as civilian employees but were granted veteran status in 1977. SAIC completes $2.5B Engility acquisition deal, reports Defense News. The acquisition, made public in September, makes SAIC the second-largest government services contractor, behind competitor Leidos. It will comprise more than 23,000 employees. SAIC stockholders will own roughly 72 percent of the combined company, and Engility stockholders approximately 28 percent. Raytheon to equip classic Hornet with upgraded radar, reports UPI.